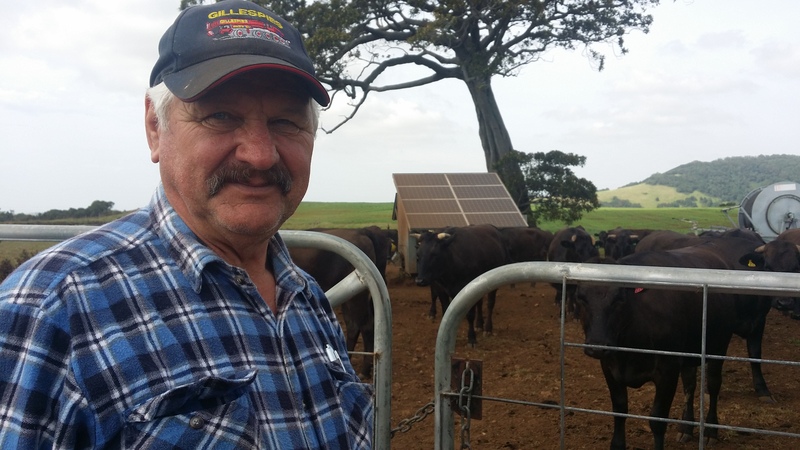 After five years, Gerhard and Maria Baden’s dream of a purpose built micro abattoir to process their Wagyu beef is a step closer, with the DA gaining approval at the January Council Meeting. “It has been a long hard battle,” says Mr Baden. “We’ve overcome all the negatives people have put in front of us. “We have ticked every single box, sometimes twice, and now we have been judged to have met all the Council requirements. “It is on my title that I am legally entitled to build an abattoir on my property. The Badens feel the need for their own abattoir due to the stress and cost involved in transporting their cattle long distances to be killed. Their plan is to be able to walk their beasts from their Rose Valley paddocks into a purpose built 10x10m building for slaughter and storage. Opponents of the proposal are concerned about environmental damage, and have signaled their intention to fight the approval (see below). In the meantime, the Badens are progressing with the detailed work needed to lodge an application for a construction certificate. Barring court action, Mr Baden says the facility could be operational in six months. Mayor Mark Honey says the approval is ‘a fantastic result’, “If we wish to keep green hills around here we’ve got to start looking at ways of keeping farmers on the land. From the start of the process, the abattoir has been strongly opposed by nearby landowners Debra and Ken Sandy. “In voting to approve the abattoir, we believe Kiama Council has issued an illegal development consent. Our advice from eminent legal, planning and environmental consultants, is that the abattoir is a designated development. Designated developments are those that are likely to generate pollution, or are located in, or near, an environmentally sensitive area. “An abattoir will generate pollution. The Werri Lagoon and Rose Valley ecosystem is an environmentally sensitive area. “Under the law, Development Applications for designated developments, cannot be assessed by Council without an Environmental Impact Statement (EIS). The abattoir DA does not include an EIS and Kiama Council has not required one from the proponent. “An EIS would cost the Council nothing and would reassure the community that an abattoir in Rose Valley has had a thorough environmental impact analysis. All approvals and investigations have been carried out and found the alleged objections to have no foundation. Council have done a thorough investigation. Don’t waste Council,s money (ours} on a personal vendetta.